Kalyx Australia currently has 0 opportunities. At Kalyx, we lead the way in agricultural and horticultural research, and our strong values, and high professional standards are foundational to our business. 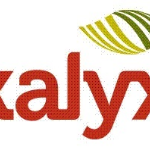 Kalyx provides an unparalleled level of independent, quality research to Australian agriculture and horticulture. With regional locations and a national focus, we provide quality, innovative research that is timely, accurate and second to none in Australia.